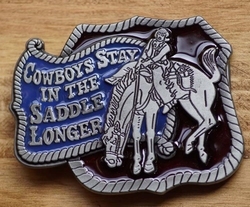 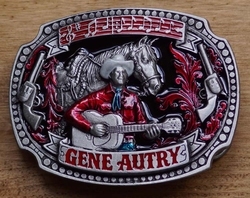 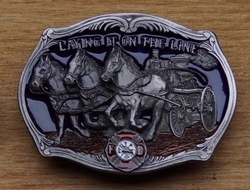 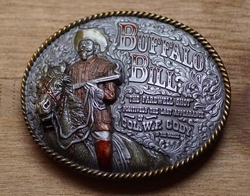 Buckle " Laying it on the line "
Country Buckle " Cowboys stay in the saddle longer "
Afmeting : 8 x 7 cm, Made : Mexico. 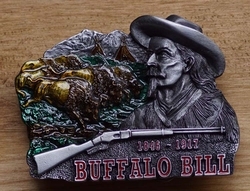 Afmeting : 8,5 x 7 cm, Made : USA. 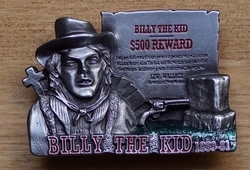 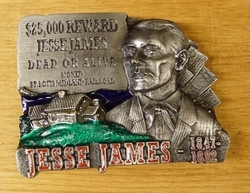 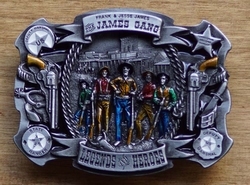 Western buckle " James gang "
Wild west buckle " The lone ranger "
Western buckle " $ 25.000 Jesse James dead or alive"